Bert Dohmen’s Fearless ETF Trader for Active Traders - Dohmen Capital Research, Inc.
Now is the perfect time to take advantage of our specially discounted rates on the Award-Winning Wellington Letter, Smarte Trader, Fearless ETF Trader, and the exciting new HedgeFolios service! But hurry, these offers will only be available for a limited time! Our near 40-years of experience in analyzing and timing the markets for our clients can benefit you during these volatile times in the global markets. ​The Fearless ETF Trader is ideal for short term traders who don’t have the time to trade individual stocks and prefer the lower volatility of ETFs. With our ​Fearless ETF Trader , you receive our advanced technical analysis, market timing signals, and specific ETF “buy” and/or “sell” signals in each issue. When market conditions call for it, we also recommend “inverse ETFs”, which are designed to rise in price as the index, the sector, or the geographical global areas decline. It’s ideal for making money during market plunges and crashes. During the 2008 Financial Crisis, our subscribers smiled all the way to the bank. Our ​Fearless ETF Trader gives you specific ideas on ETF’s to buy, or to sell short, as market conditions signal. We then provide continuous follow-ups with our market timing, suggesting when to sell or close out the recommendation. For those active traders who prefer lower volatility, that’s a dream come true. It’s like having a trading coach at your side. You will learn to think like a Pro. Instead of buying and holding an investment, you will execute short-term ETF trades and make your money work harder for you in bull and bear markets. 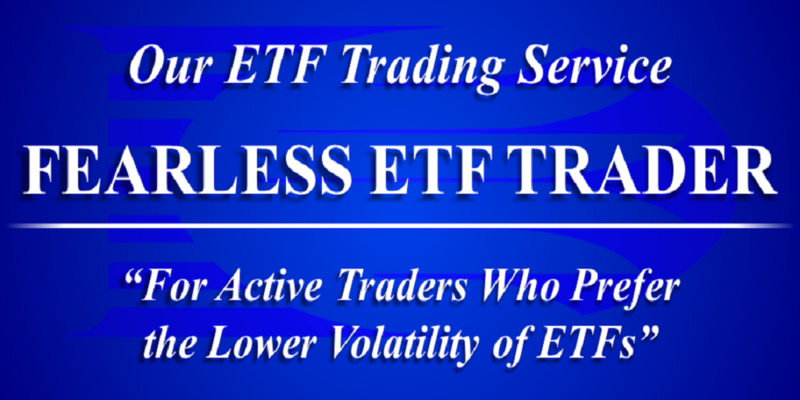 If you are trading the markets actively instead of using a “buy and hold forever” approach, the Fearless ETF Trader may be the right service for you. Keep in mind, ​Fearless ETF Trader clients should have adequate trading experience prior to subscribing. The The​Fearless ETF Trader is issued 4-5 times per week on average. Now you can actively trade the market with lower risk, lower volatility, and profit in bull and bear markets. We hope to welcome you to our rapidly growing family of clients who​ can prosper, whether markets plunge or rise. Bert Dohmen is a professional trader, investor, and analyst. 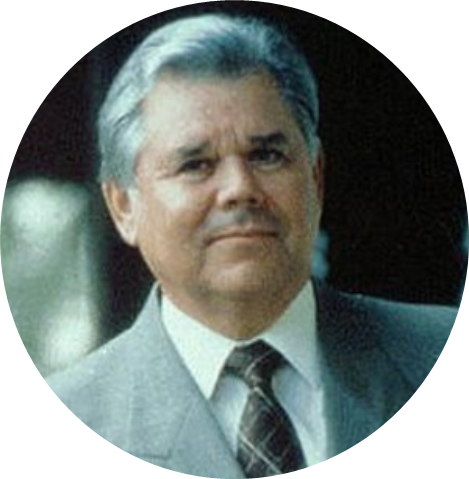 As founder of Dohmen Capital Research, he has been giving his analysis and forecasts to traders and investors for over 42 years. What he notices in the markets in his own trading each day, he relays to his clients. He has been a special guest on CNBC, Fox Business News, and CNN among others, in addition to having his analysis featured in some of the best known and reputable investment publications including the Wall Street Journal, Money Magazine, Barron’s, Future’s Magazine, and Forbes. We at Dohmen Capital Research look behind the scenes of the global investment markets. We analyze cross-market relationships, global correlations, and credit market data which give us superb clues as to what is likely to happen in various markets that are ignored by other analysts and firms. ​"I’d like to take this opportunity to thank you for the terrific job you are doing with your Fearless [ETF] Trader signals. I’ve been trading the Rydex funds since 1996 and I’ve had only limited success. Since the subscription to the [FETF], I’m finally a winner. I can remember the day the Dow was down over 500 points and I was up over $11K in one day only to give it all back within one week. This has not happened since I started following your recommendations. Kudos and keep up the good work." ​​​​​​​​​​​​​​​​​​​​​​"​​FYI… I held my positions Monday, having watched the market during the day and seeing the improvement. Thanks for your great insights!!! Following your advice has made me a lot of money and with the spring volatility I think I’ll divest myself of some of my stocks and do more ​ETF trading per your advice." ​​​​​​​​​​​​​​​​​​​​​​"​I am a subscriber to Fearless [ETF] Trader and I want you all to know that I am very pleased to have you as my financial advisors. I feel extremely comfortable and blessed that I am in such good hands." ​​​​​​​​​​​​​​​​​​​​​"​I have been using your service for about a week now and already recouped my 12-week subscription fee using your recommendations on the ​ETFs." Dohmen Capital Research and Dohmen Strategies, LLC currently offer 4 highly valuable services for serious investors and traders, including the award-winning Wellington Letter, offering fundamental and technical analysis of the economies and investment markets. In addition, The Smarte Trader and Fearless ETF Trader is ideal for astute short-term traders, and the exciting new HedgeFolios program for active investors looking to protect their portfolios and profit from market downturns.